Jay is a confident and inspiring leader, national speaker and author who fosters a culture of high-integrity and openness, and is a catalyst in building high growth organizations. One who sets a passionate vision others are eager to follow. Extensive experience and success in dramatic growth, turnarounds, mergers, acquisitions and business integrations. Recognized for holding a strategic view in challenging business environments, while maintaining strong top and bottom line performance. Jay is Chief Executive and Managing Director of TruBalanced, which provides executive coaching and keynote speaking. Its main goal is to help business leaders achieve their full potential at work, at home, and in their communities. As chairman and CEO of XRS Corporation, Jay led the company’s transformation from a hardware-based business to the transportation industry leader in mobile fleet optimization. Jay was one of the first to realize that four looming forces –information, cloud, mobile and social – would converge on the trucking industry and dramatically reshape the future. As a result, he rebuilt XRS based on a vision of having the best product and most trucks on the road. The strategy was designed around three principals: 1) Making compliance a reality through choice and simplicity, 2) Maximizing efficiency through cloud-based fleet optimization, and 3) Making trucking easier for the driver. The strategy resulted in the launch of a completely new mobile product platform in April 2013 and the transition of three older platforms into a single XRS product while continuing to meet the needs of the company’s current customer. Jay successfully positioned XRS for a successful acquisition by Omnitracs, the leader in fleet management solutions. The XRS acquisition by Omnitracs was a $178M all-cash transaction. 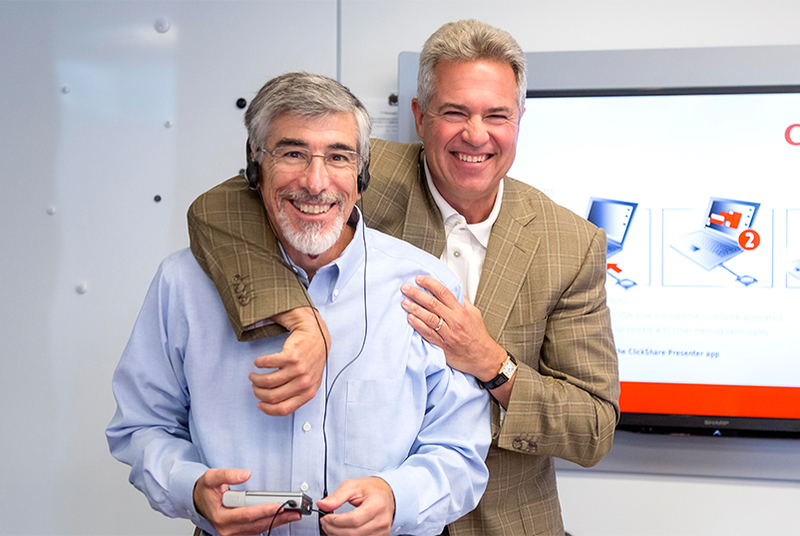 Prior to joining XRS, Jay was president and chief executive officer of Lawson Software, one of the country’s largest enterprise software companies. Jay began his career at Lawson in 1987 as an account executive. He moved quickly to vice president of the Health Care Business Unit (Lawson’s first vertical market), where he increased market share and oversaw triple-digit increases in license-based revenue and new accounts. As CEO, led the successful completion of a $200 million initial public offering (IPO), Minnesota's fifth-largest. Significantly grew Lawson's revenue from $200 million to $430 million. Jay has held numerous board positions as board member in both the private and public sectors including Lawson, XRS Corporation, Securian Financial and High Jump Software and Pragmatic Marketing . During his tenure as Board Chair of Minnesota Teen Challenge, the organization doubled in size, becoming one of the largest non-profits in the state. Jay and his wife, Jule, have been married for 30 years. They have three adult children and live in Excelsior, Minnesota.